Coming out of Super Bowl LIII, plenty of analysis went toward the game itself between the Los Angeles Rams and New England Patriots and what it meant NFL-wide heading toward the 2019 season. But it also offered a chance to begin looking beyond next year toward which teams are best set up for years to come. 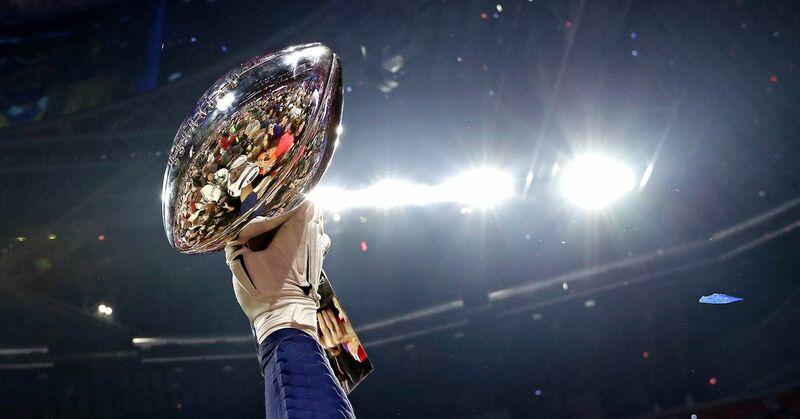 Recently, Sports Illustrated’s NFL crew took a look at the next five Super Bowls and chose who they thought would win. Obviously, it’s a near impossible exercise, but it does give us a sense of a baseline for the conventional wisdom as to who is best set up for success in the years ahead. They had 10 staffers weigh in so there were a total of 50 potential winners. Leading the way were the Kansas City Chiefs with 14 followed by the Patriots with 10. After that, there was a huge jump down to a couple of NFC teams in the Philadelphia Eagles with 4, and the New Orleans Saints and the Rams with 3. The Indianapolis Colts also picked up three votes. I found a couple of things interesting here. One was how top-heavy the AFC seems moving forward. While there were nine AFC teams that picked up votes compared to just six for the NFC, the Chiefs and Pats are just so out in front even with QB Tom Brady having turned 41-years old in August. Secondly, much of what’s in the air is personnel transition in the coming years. A couple of the responses alluded to this in terms of factoring in front office skill into their responses. Suffice to say, General Manager Les Snead has done a fine job in supplying talent for Rams Head Coach Sean McVay to help get the Rams to the Super Bowl in the first place. His ability to identify and acquire the required replacements over the next few years will be, to be blunt, crucial. Third is the effect of coaching on these votes. Part of what you’d be voting for here is coaches’ ability to manage the minefield that is an NFL season. So what was perhaps most shocking was to see so no votes for teams like the Atlanta Falcons, Green Bay Packers, Carolina Panthers or Houston Texans. All have talent at quarterback. Three of them have been to the Super Bowl in recent years and the other, the Texans, has one of the better defenses in the entire league over the past half dozen years or so. But as Rams fans, we know our future is bright. With McVay leading the way and a stable of talent locked up, the Rams are heading into an era in which we should be competitive every year as long as things don’t fall apart on the personnel acquisition front. What do you think, Rams fans? How many Super Bowls do you think we could win over the next five years? Obviously, it’s easy to see how we could win at least one, but only three of their ten voters had us winning won and none had us winning more than one.